For reasons I’ll explain later, I found Snapchat’s actions this week unfathomable, so I went seeking advice from the most expert man out there on the subject of acquisitions: Mr. Mark Cuban (Shark Tank, Broadcast.com). I’m on a role with exclusives this week, although this one’s pretty succinct. As many of you may know, Mark Cuban’s fortune comes from a site called Broadcast.com (an internet radio pioneer), which he founded. Cuban orchestrated one of the most well-timed acquisitions in history, selling Broadcast.com to the then-massive Yahoo for $5.7 billion, right before the .com bubble burst. So who better to talk about a company that’s supposedly way-overvalued thanks to the current market, and just turned down a similarly massive offer? Anyways, on the issue of whether it was the right decision for Snapchat to turn down the massive offer, Mark noted “Time will tell”, reiterating a point that venture capitalist Marc Andreessen made earlier in the week, that “If Thomas Watson, Dave Packard, Ken Olsen, Bill Gates, Bob Noyce, Ben Rosen, Michael Dell, Jim Clark, Scott McNealy, Larry Ellison, John Sidgmore, Ross Perot, Steve Case, Steve Jobs, Irwin Jacobs, Larry Page, Jeff Bezos, Pierre Omidyar, Jerry Yang, Mark Zuckerberg, Evan Williams, and Ben Silbermann all thought like that, I don’t think our industry would even exist today.”. Sure it may be crazy, but couldn’t we be the crazy ones? On the motivations for turning down such a massive offer, Cuban had a bit more to say, pulling from his own experiences. 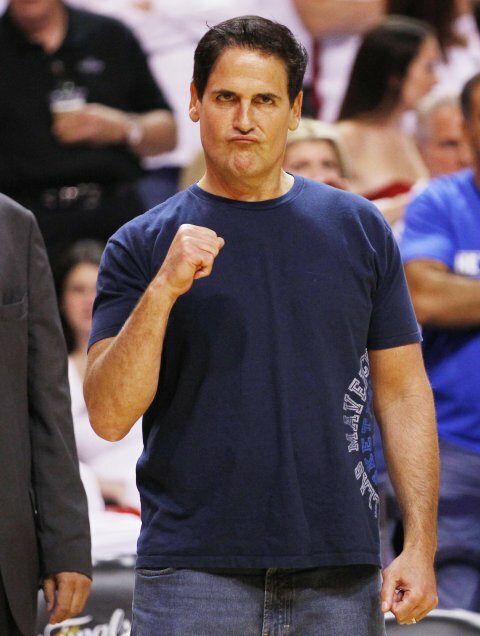 Cuban said “[You’ve got to] remember there are probably a lot of dynamics between the owners“. After raising tens of millions in venture capital over the summer, and then doubling their user base, it’s somewhat understandable that they don’t want to run the risk of selling out too low. The Wall Street Journal article that unveiled the deal even mentioned specifically the internal debate over taking the deal, or waiting until early 2014 to consider offers. But what happens if this is their peak? That’s my fear for them. Snapchat’s Collapse is not “if”, but “when”. As a product, Snapchat is fading. Trust us. We’ve been an authority on Snapchat since we first wrote about it in April of 2012. Just so you know, according to Google trends, at the time, the app had less than .1% of the interest it has now. I’ve already seen much of its initial core user-base turn away from it. I’ve been on Snapchat for a year and a half, and I’ve seen a significant decrease in activity since the summertime. Snapchat may be gaining active users at a huge pace, but I have a feeling that Snapchat has a shelf life. You can only make so many funny faces. I’m not implying that Snapchat as a company is done-for, but I do think they’re going to have to get creative to prove their valuation. Unlike multifaceted services like Facebook and Twitter, Snapchat is simple, and people will get bored of it. They also still have no revenue source, nor does there seem to be real potential for revenue. They can’t charge for the app. Ads would be too intrusive. They’re really at a point where proper monetization is difficult. The young company needs to come up with some strong successor products if it wants to prove that it’s worth more than the acquisition price offered. They need to come up with products that gain traction amongst their core group of teen and young adult users. They need to come up with a product that makes money, while sticking to their core audience. Do you think that Snapchat’s decision could possibly be rational? Weigh in in the comment section! If you missed it…the full story on the acquisition offer.